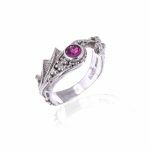 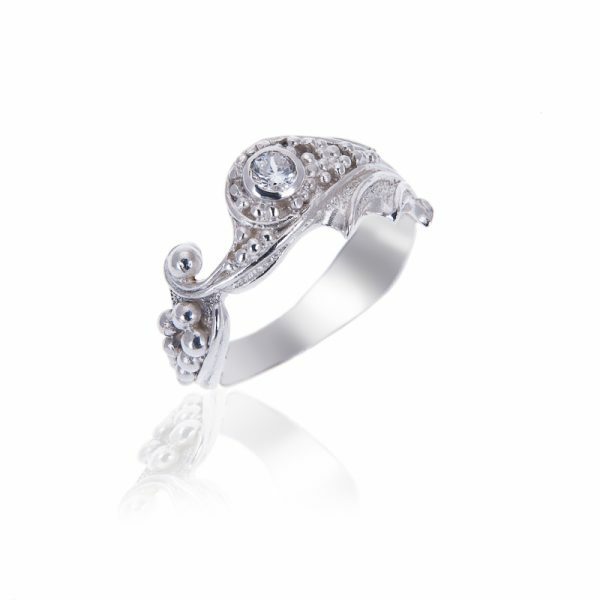 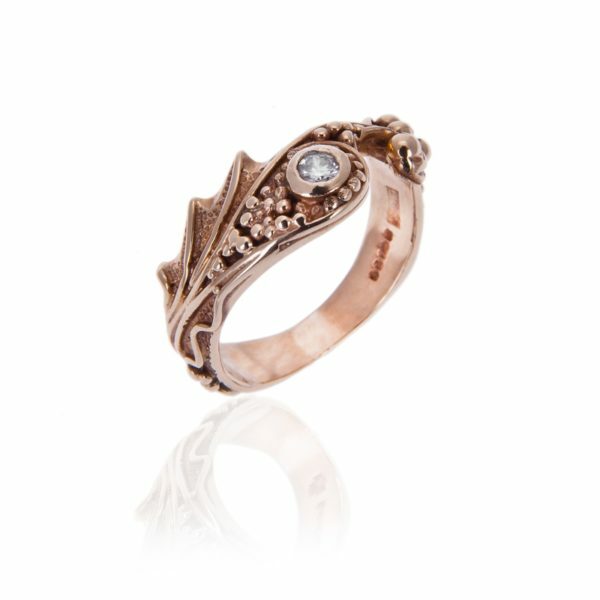 Silver ‘Mermaid’ ring size ‘M’ set with 4 mm facet cut Rhodolite garnet. 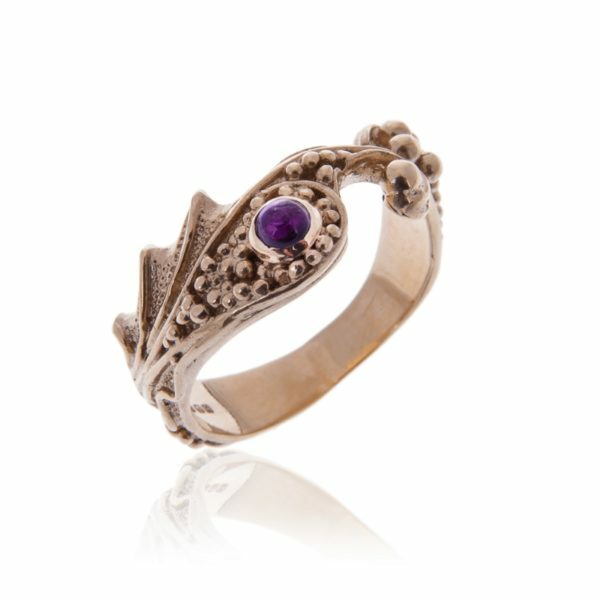 in North Wales and assayed at the London Assay Office. 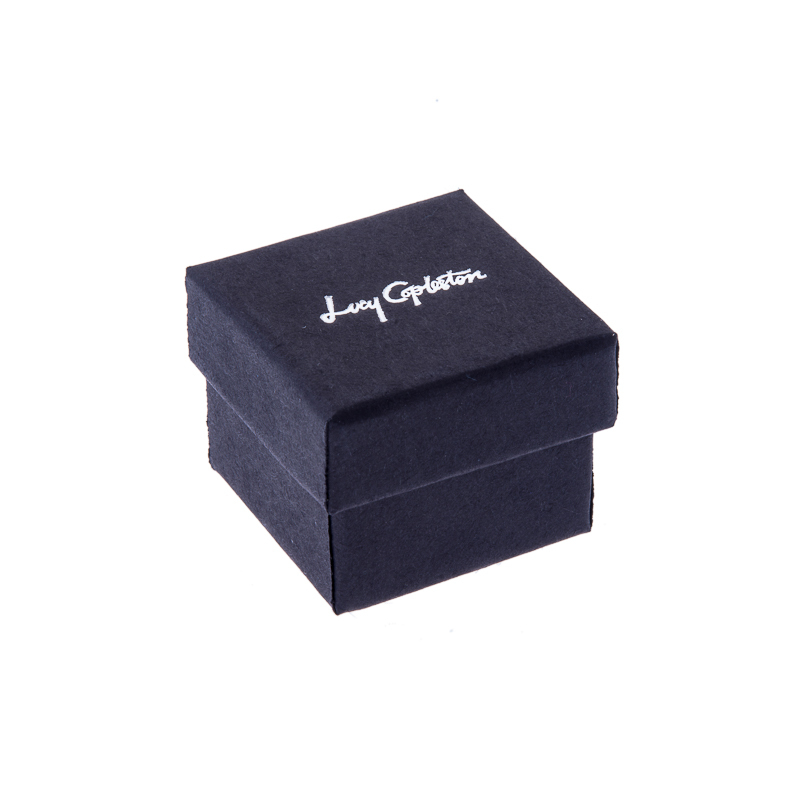 All rings carry the full UK hallmarks and are supplied with logo embossed card ring box.